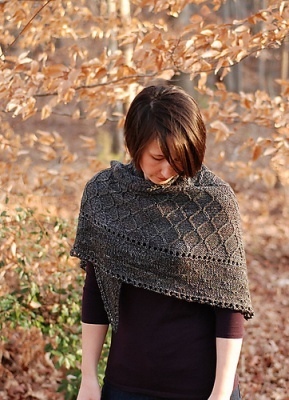 A most lovely new pattern by Rose Beck, this striking shawl is made with a heavier yarn for wonderful warmth (and faster gratification). "Human beings love to build. From wooden blocks and legos as children, to houses and gardens and cities as adults, we inherently enjoy the process of piecing parts to create something new. And we use not just concrete materials; we also build families and careers, adventures and legacies. 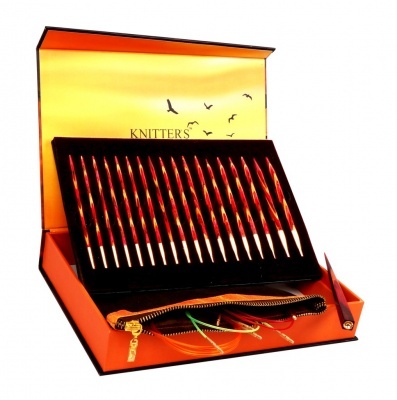 "Knitting is building; it is assembly with yarn. The basic building blocks of knitting are simple—knit and purl stitches, with a few fancy variations thrown in. This collection of shawls pays homage to knitted texture, to the incredible possibilities of building with these simple blocks. Each pattern is named after a theme in architecture or the decorative arts. 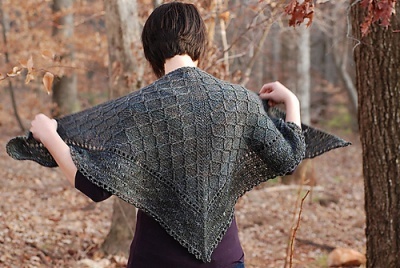 The shawls are mostly worked in heavier weight yarns, to make the most of the textured stitches." 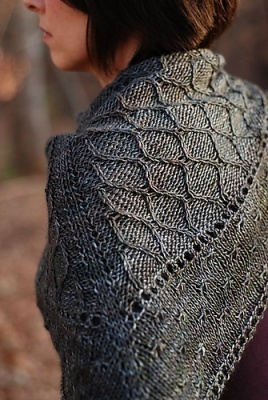 In this pattern, a slipped diamond stitch forms a simple yet striking lattice, the shawl being worked top-down in single-ply dk or worsted weight yarn. 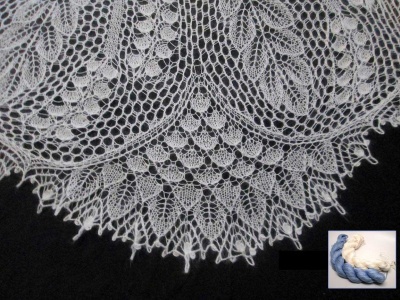 Interestingly the allover diamond pattern is worked with crossed stitches that are slipped on the wrong side so that a cable needle is not required. Rose rates the skill level for this design as Intermediate to Advanced. You'll find both written and charted instructions are provided for the body although the border uses written instructions only. Yarn-wise you will want to have between 475 and 550 yards (434 - 503m). We have some lovely dk weight and light worsted weight yarns on our Yarn pages that could serve you very well for this. 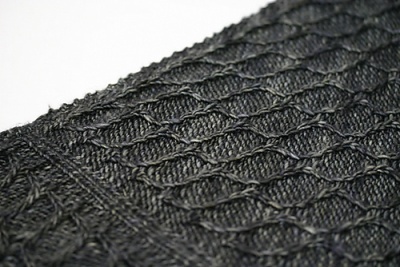 What you want to get is a gauge of 18 stitches and 28 rows = 4 inches in slipped diamond stitch. 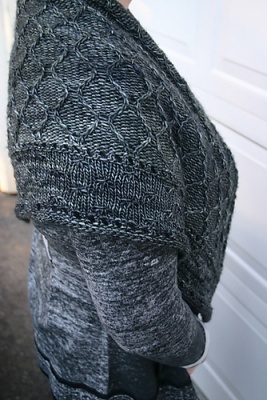 The original by Rose achieved that using size 8 US (5mm) needles. The pattern is written in two sizes, medium and large with instructions for customizing size included. The approximate finished measurements (after blocking) come to 54 (58) inches wide and 24 (26) inches deep. This is really a lovely piece. And I am looking forward to seeing the rest of the series as well. Note that what we are offering on this web page is a hard copy of the pattern, printed out and slid into a sheet protector. If you want simply a PDF file, contact me and I'll direct you back to Rose.